Welcome back to 1999, a year when phones were bigger, jeans and cars were the same size (as each another), and men larger than phones or jeans or cars were prancing around in outer space. 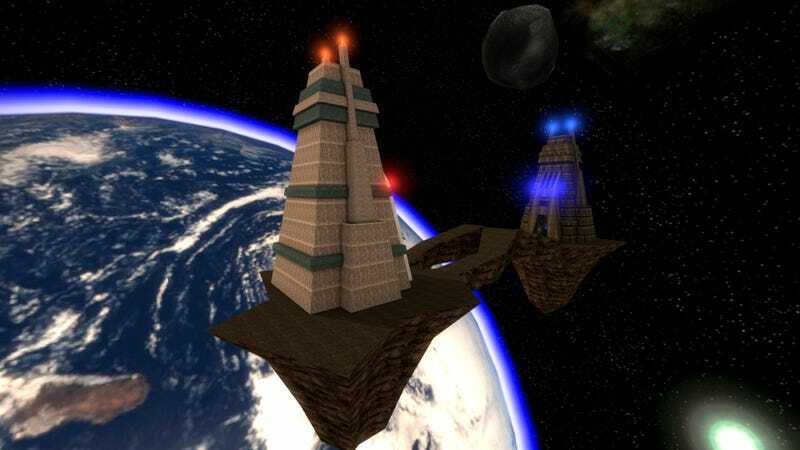 Facing Worlds is one of the best maps to come out of the Unreal Tournament series, and arguably one of the best multiplayer maps ever. A pitched battle between two towers, the map was open and terrifying. Mounting an assault meant you were exposed to enemy snipers and ground troops, a feeling heightened by the fact that there were no walls around you, nor was there even a sky above you. All you had was the vacuum of space, looming and licking its bulbous lips. You were so naked and afraid that the show Naked And Afraid ought to be paying royalties to Epic Games. As ever, it’s bizarre to see a modern-weapon-wielding Counter-Strike man running around such a fantastical location, but that’s also part of the appeal. I doubt the map makes for particularly great CSGO matches, but if novelty value was an actual currency, this mod would be worth a million bucks.